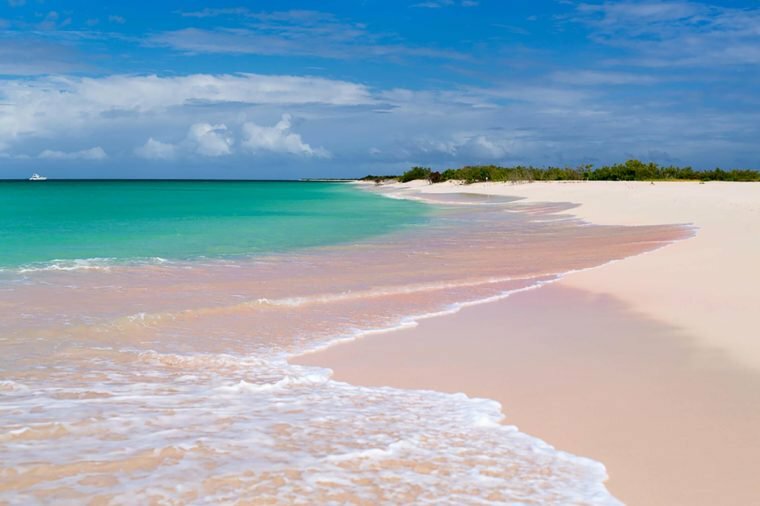 Barbuda is one of two islands that make up the small Caribbean nation of Antigua and Barbuda. 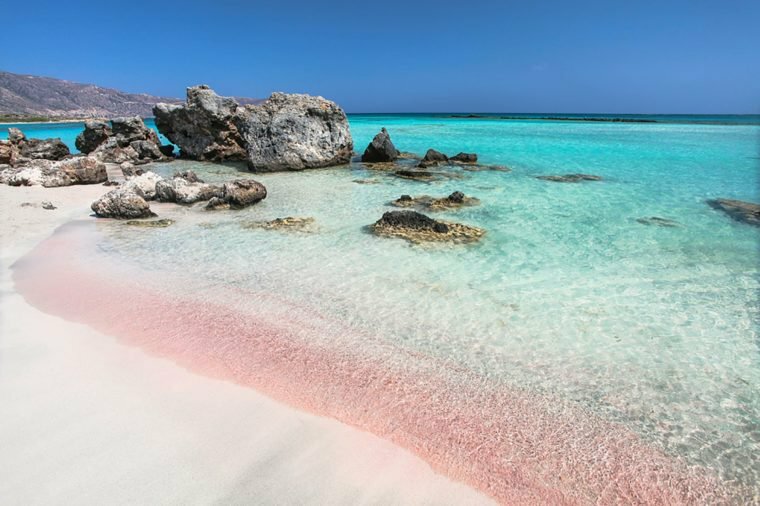 Being 62 square miles and only having one village on the entire island, the secluded pink sand beaches and tropical palm trees are beautiful. Unfortunately, Barbuda is still under construction due to Hurricane Irma. 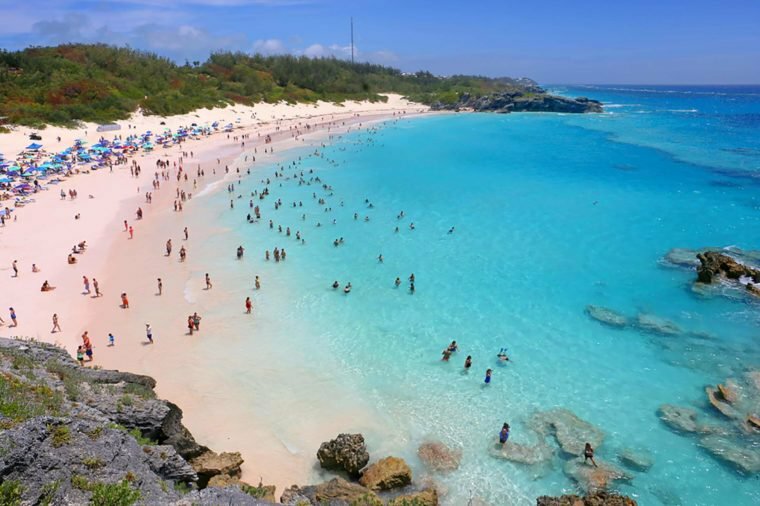 Horseshoe Bay is situated on Bermuda’s south coast. 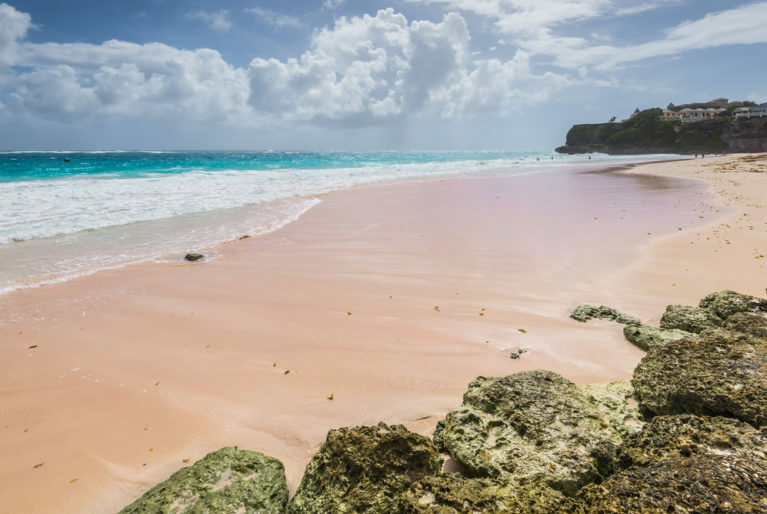 It’s tucked between astounding natural limestone cliffs and glistening pink sand that skims the Atlantic Ocean, which is filled with a plethora of coral reefs, a variety of fish, and other marine life. The bay is a fantastic location for snorkeling, volleyball, and kickball. The bay’s long trails are also awesome for jogging or hiking. 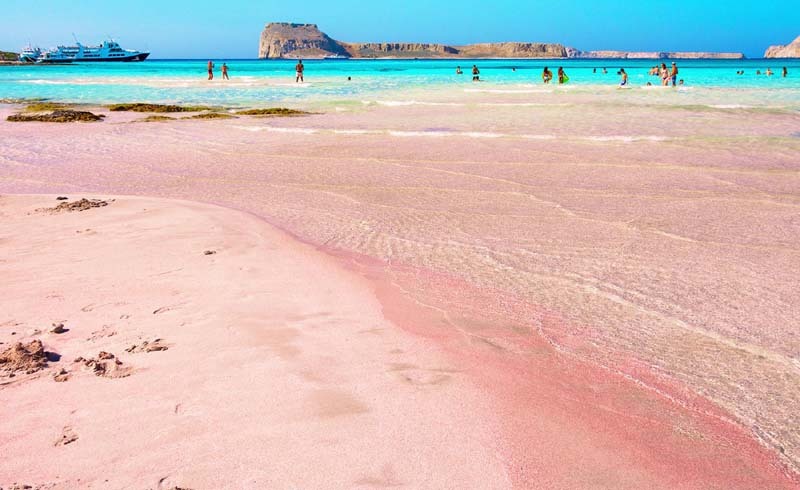 As gorgeous as its pink sand might be, Italy’s Spiaggia Rosa is off-limits to the public. The beach can be viewed via boat or from a nearby cliff that overlooks it, but no one is allowed onto the beach itself. 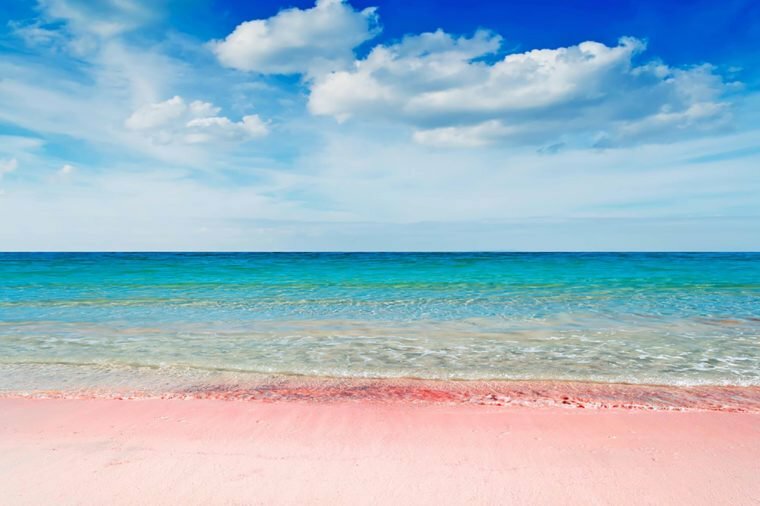 This is due to preserving the beach’s vibrant pink hues, which believe it or not, used to be brighter before visitors began taking jars of it with them. You don’t even need to leave the continental United States to visit this picturesque spot. 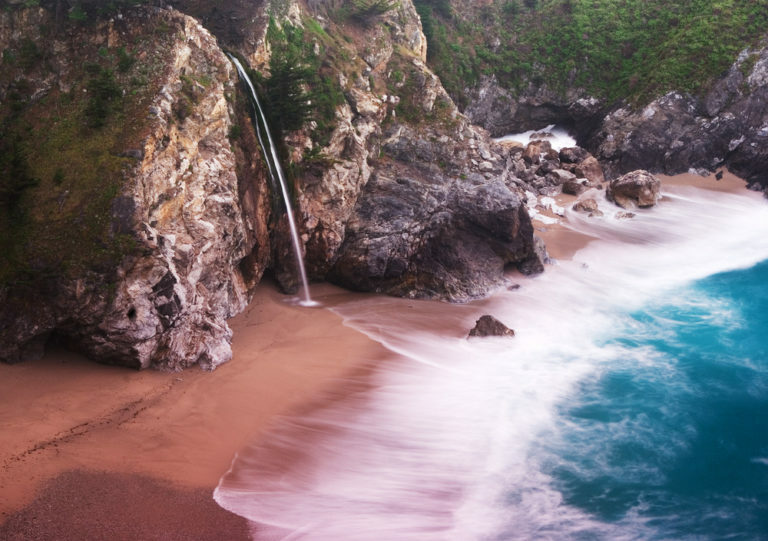 The beach is part of Julia Pfeiffer Burns State Park along the Big Sur coastline. 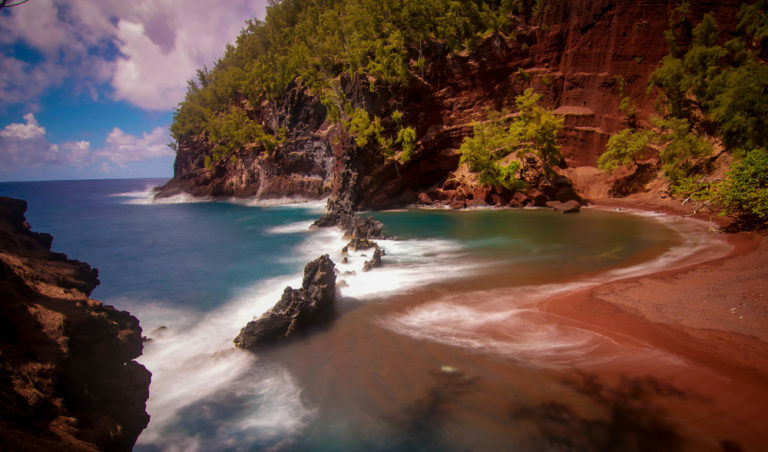 Besides its purple-tinted sand, which is most noticeable after rain, this hidden location features an 80-foot waterfall dropping along granite cliffs, rock formations for hiking, and sea caves for exploring. 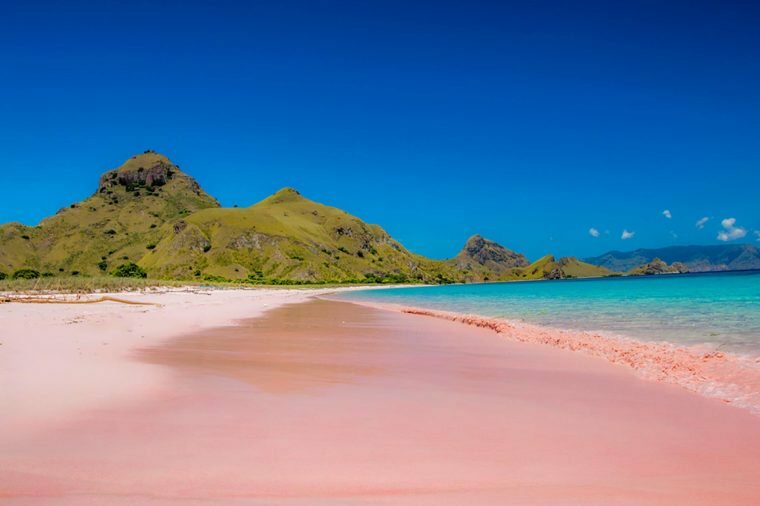 This beach was originally a harbor, but now it is home to pink-tinged sands and waves perfect for boogie boarding. 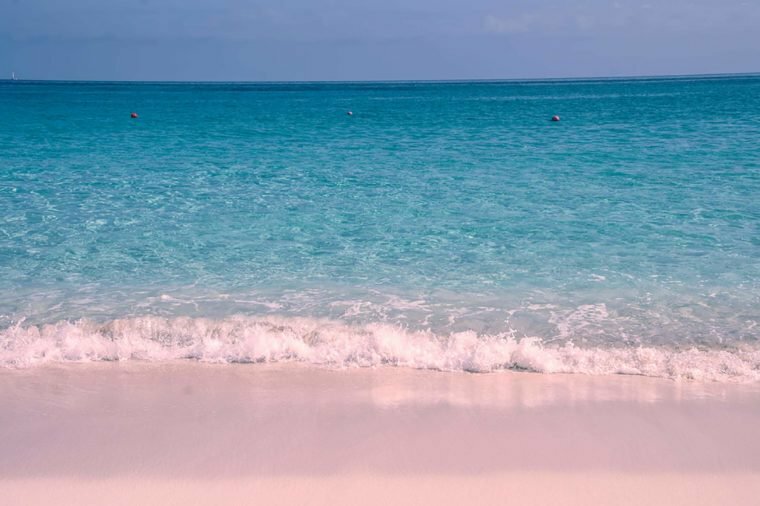 In fact, USA Today named it the Best Caribbean Beach in 2015. A coral reef acts a natural barrier, making it a safe swimming area for all, and you may even see a sea turtle or two in the water during your visit. 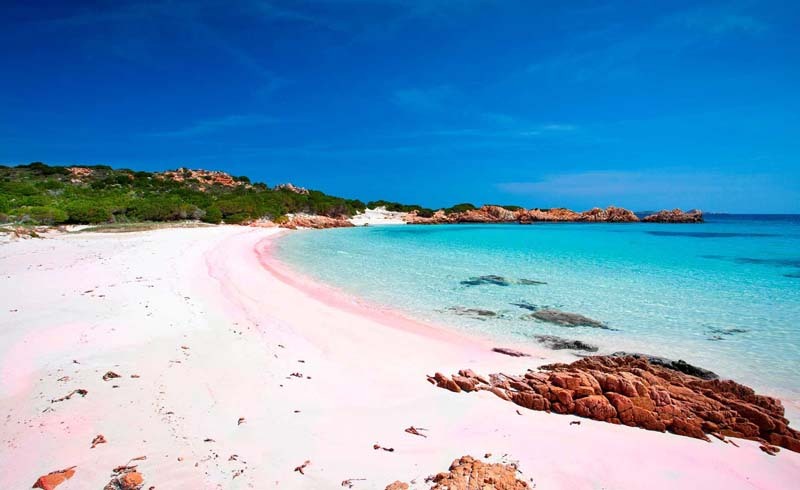 But beaches aren’t the only travel destinations lucky enough to don a pinkish hue.